I had my first daughter back in 2009 and my second daughter in 2012 and since then the car seat guidelines have changed so much. The car seats all look so different now to what they did a few years ago too. There is so much to think about with car seat and safety these days it can get all confusing. Especially now there are actual talks and new reports about backless booster seats to be banned. It is not the law but there are some talk, so it is just a waiting game to see if it will happen or not. When buying a car seat for your child you need to make sure you have read the correct guidelines for your child's age, weight and height until they reach the age of 12 years old or the height of 135cm. There are so many car seats and booster seats to choose from these days. The most expensive one doesn't mean it is any safer than any cheaper ones. The only person who can make sure that a booster/car seat is safe is you. Make sure the seat is not loose - When you move the bottom of the seat, it should hardly move. If it does move easily then you haven't put them in properly and that means they are not safe in their seat. Follow the seat instructions - There's actually a few people who do try and just put the belt the way they think it goes but that doesn't mean they are right. Everyone should follow the seat's instructions on how to keep the seat in place and safe. You should also make sure there is no seat belt resting on the seat and make sure it is in the correct place. Make sure to close the seat belt! Parents can be awfully busy at times and totally forget to actually close the seat belt. Don't make the belt too loose - There shouldn't be a lot of space between the belt and child's chest. If there is then it means that the belt is too loose and can be dangerous if child gets involved in a car accident. You should never buy a second hand car seat as you have no idea about it's previous history. It is always best to purchase a brand new car seat and get it professionally fitted once bought, The only transport you can travel with no car seat is on trains, bus, taxis and mini buses. If there is a car seat available in the taxis then you should use it, otherwise children should wear the adult seat belt and sit at the back. Is your family growing? Have you got enough room in your car? Some cars have three seats in the back but not enough for three carseats. If your child is over 3 years old then that child can sit without a seat in the middle, between the other two car seats, however, this is only for unexpected journeys and should not happen all the time. It is much safer for your child be sat on a seat her/himself. Possibly buying a new car would be the better and safer option. A child up to the age of 3 years must travel rear facing or forward facing with the car seat fitted in correctly. Ideally all children should sit in the back when they sit in car seats. If a child sits in the front seat and they are rear facing then you should make sure the airbags are off at all times. Some car seats these days do from a certain age all the way up to 12 years. However, there are some which only last a couple of years which means you need to go buy a new seat every so often. It is best to find a seat which can last you a few years. But remember to always follow the correct guidelines. From birth the car seat would be in Group 0+. The age range for this seat is birth to approximately 15 months (13kg). There are car seats which you can use from birth to roughly 4 years (18kg) and that is a Group 0+/1. From 9-12 months you can buy the car seat from Group 1 which does from 9 months to 4 years (9kg-18kg) or Group 1/2/3 which does from roughly 9months to 11 years (9kg - 36kg). From 4 years onwards you should buy a car seat in Group 2/3 which is from 4 years old to 11 years old (15kg - 36kg). There are great prices on booster seat on Online4baby. What are your thoughts on backless booster seats getting banned (IF they do!)? * This is a collaborative post but all words and thoughts are my own. I'm not a mum and I'm not sure I ever want to be but this is such a big eye opener. I never even thought about all these things! You mums definitely don't have it easy! Guidelines change so much over the years so its always important to keep up to date. making the belt not too loose is a good shout. This is definitely good advice. You really have to do a lot of research before picking out a seat. We are going to be looking at car seats soon, so I will be coming back to read this in more detail. Safety first, as usual. My cousin would find these tips useful for my little nephews. I'd never thought that buying a second hand car seat could be a problem but now I will be wary of them! Child car safety is incredibly important but probably neglected quite a bit. Ha, I'm a professionally trained car seat fitted, I used to work for a major retailer that fitted car seats. I despite backless boosters. With a passion. They have no impact protection whatsoever, you may as well whack your child on a cushion and keep your fingers crossed you don't crash - what infuriates me SO much more is that parents aren't given this info! Your post is going to be SO helpful to so many people who just haven't been given the information and you are dead accurate with everything you have said!! Lovely post. We have booster seats for the kids. Don't like them too much though. Thinking of getting new ones. 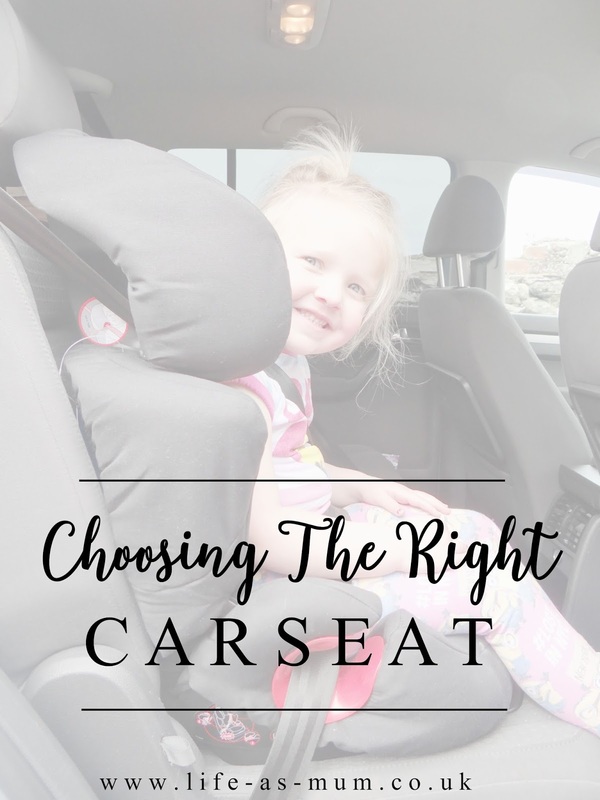 As a mum of 3 i can't stress enough that choosing the right car seat is very important, great blog post. Great tips, it's such a minefield with the guidelines changing year by year! These tips are very helpful for me. I think we always clean your seat belts is also very important. Thanks for this post.